Two of our “little” cousins came over for the weekend. We love when they visit! They love playing as many games we can fit into our time together. This visit we played Racko, Batman, Life, Wahoo, Clue, and Watch Ya’ Mouth. We also played Scoop Ball and Frisbee outside. We can’t believe we played all those! It was tons of fun (even Life). Jessica usually has at least one project or activity available. This time she had the recipe for Ooze, and E was all about making it. She doesn’t mind getting her hands dirty. K joined in once he realized it came off your hands easily. We enjoy all the fun we have with family and are looking forward to the next family get together. E tends to ask a lot about the baby. She can’t wait for a baby to join our family. K, being a boy, seems less interested. Haha! Jess loved hearing their “little” footsteps in the morning, and she imagined hearing our children’s “quietly” stomping around the house. 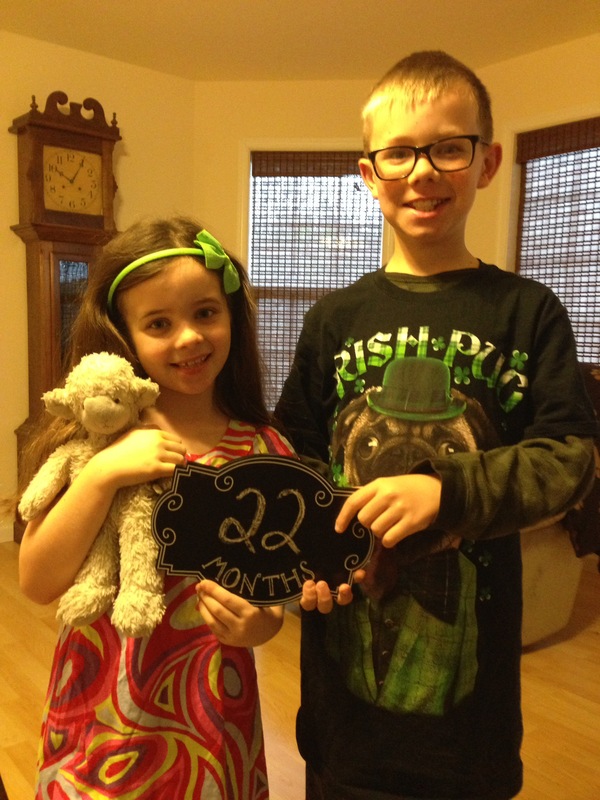 We know no matter how many months we wait to be parents it will be worth it. Feel free to share. 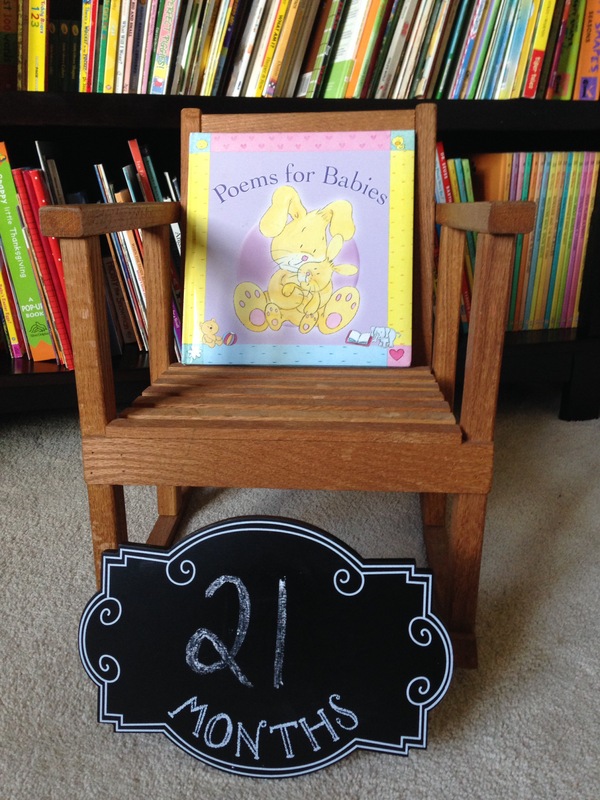 Waiting for Baby B to fill this rocking chair Jessica’s grandpa made her for her first birthday. 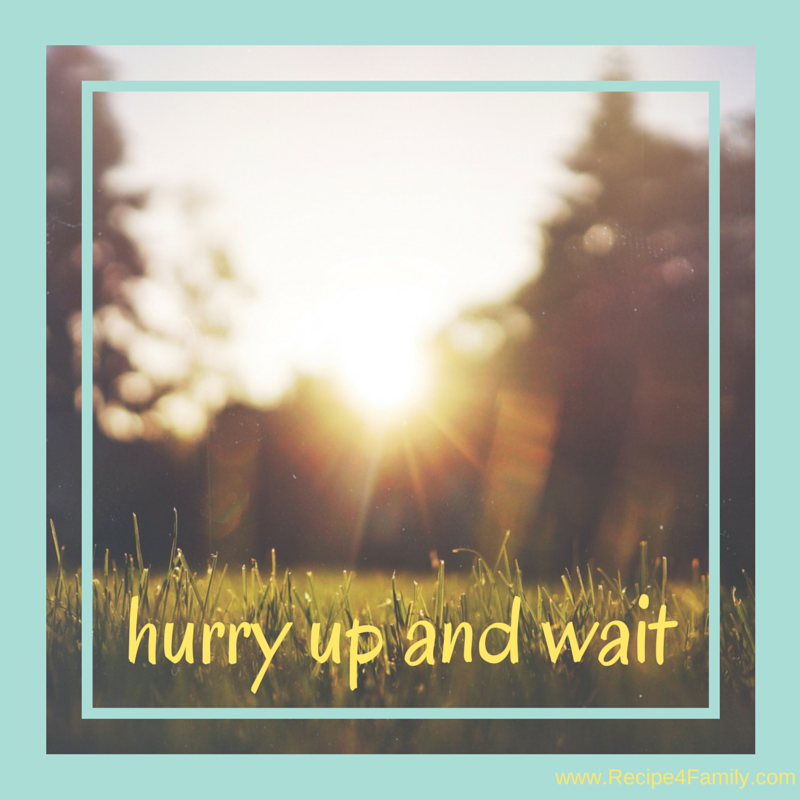 During infertility, there is this phenomena that happens with waiting, especially when seeking treatment. You go to all the doctors appointments, have all the blood work, and have any necessary procedures done. You are very excited/nervous during this whole process, but you are super focused on hearing good numbers for a successful procedure. Then, the treatment is done, and you’re left to wait. Waiting to see if you’ll be a Mommy and Daddy. We call this the “hurry up and wait” feeling. You can’t wait for X to happen, but you have to wait to see if it’ll all work out. With adoption, it’s not all that different.